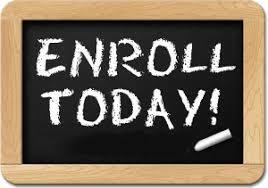 The process for enrollment to Columbia School District is initiated by a visit or phone call to the Administration Office located in the back of Columbia Central High School at 11775 Hewitt Road (517) 592-6641. Children entering kindergarten must be 5 years old by December 1st of the school year. The Columbia School District is a participant in the Schools of Choice program. Non-resident students will be admitted if the proper paperwork and timelines are met. Registration forms and further details can be obtained at the District Administration Office or the attending building. Admittance under this program will be based on enrollment figures at the particular grade levels and availability of room. The Columbia School District has two elementary schools, one junior high school, one high school, alternative high school, preschool programs, adult education (GED completion) and community education opportunities. Registration is completed at the assigned school. This is notice to the general public that Columbia School District accepts applications under Section 105 and/or 105c Schools of Choice regarding enrollment of nonresident students. When is the best time to apply for Schools of Choice? The best time to apply for Schools of Choice is before the start of the new school year. Parents have applied for Schools of Choice as early as April before the start of the next school year. Columbia School District is always open for Schools of Choice and will accept applications anytime. Do I need permission from my home district to apply for School of Choice? Schools of Choice applications that are completed and turned in before the first Friday of the first week of schools will not need the resident district’s permission. Applications made after the first Friday of the first week of school will need a release from their home district. Columbia School District will complete the resident district release form and apply to your home district on your behalf. Do we have to apply for Schools of Choice each year? Once accepted as Schools of Choice students, those students are guaranteed a place in our schools through high school graduation. Do you provide transportation for out-of-district students? Schools of Choice students are provided the opportunity to use the Columbia School District transportation system, free of charge, to and from any established Columbia School District bus stop. We are confident that you would love to have your child enroll to become a student in Columbia School District, where all kids are given a host of activities from which to choose and all students are given the opportunities to succeed! Please call the superintendent’s office at (517) 592-6641, regarding any questions and/or for more information.